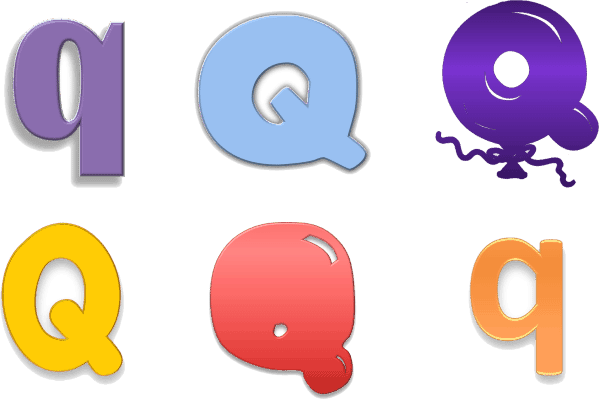 Use our free bubble letters generator to select your bubble letters from the designs available. Move them around to overlap or not. Print or download to your PC. Write anything you want. Many kinds of bubble letter available. This bubble letter font is available in four different designs. Click on any letter to open the entire alphabet. 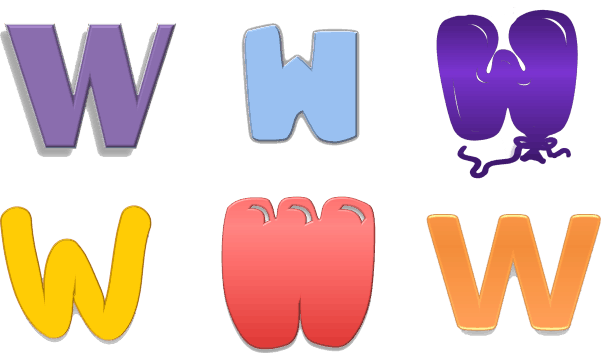 With our free bubble letters generator, you don’t need to know how to draw bubble letters. 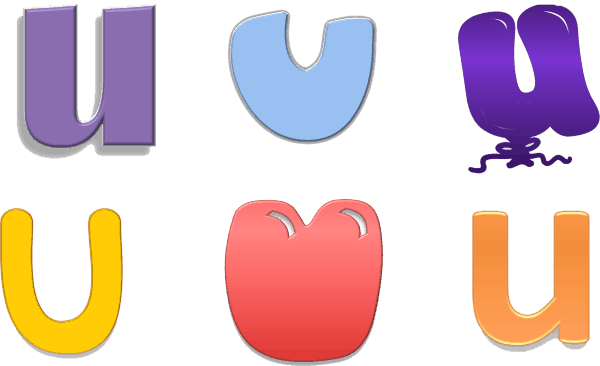 You just select the letter that you want from any of the bubble letter designs and click on it. It will appear on your page. Click on each letter that you want to use. Then drag the letters in the correct order to write your title, name or word. You can decide if the letters overlap or not and how close they will be. Play around with the letters until you are satisfied with the layout and then download the page. You can also add a background by uploading any image. You can either use the smaller letters to write words, names, titles or sentences or use the huge letters to print one letter per page. Click on any set of letters from the selection above to open the online font generator. Click on “click here to select design” to choose the design that you want to use. 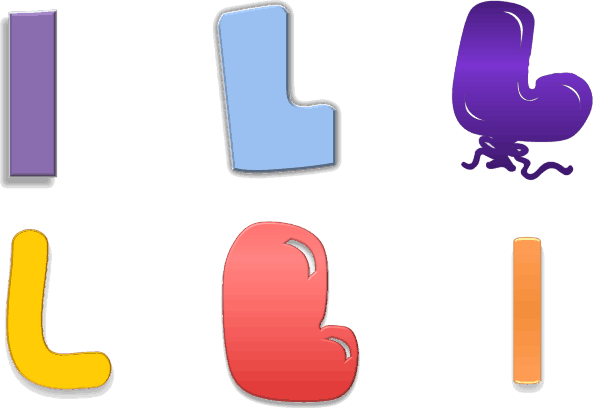 For example, we have graffiti style, balloon style and other cool and cute letters. There is also a huge version that will print one letter per page instead of words or sentences. Click on all of the letters that you want from each design.You can go back and select letters at a later stage but it is quicker to select as many as you need at this point. The letters are in the order of the alphabet (abc). Move the letters around until they are in the correct order and overlapping as much as you want them to. Once you have followed the steps above, click on the print icon to print the letters or download it to your computer and print it from there. If you want to create a page with one letter only then follow the steps above but select the “huge” category. These big printable bubble letters will each cover one full page. Select the letter and then download or print the page. If you want to create a template with one letter per page then follow the instructions above. These templates can be used for many different purposes such as to create coloring pages for children learning to read and write. If you want to write a word such as “love”, “happy birthday”, “thank you” or “mom” then click on each letter in the word that you want to write. You can then either cut out or trace the letters. 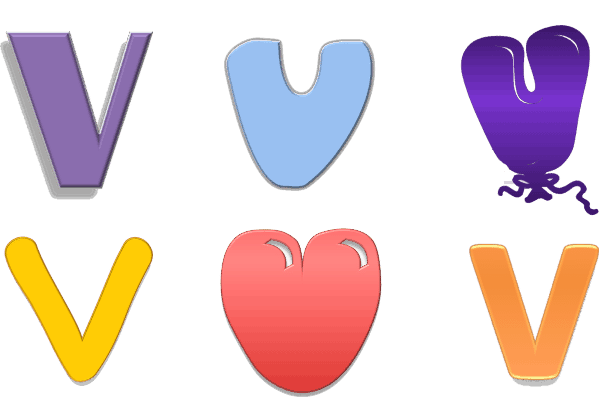 If you want to create colorful letters then color each letter once you have printed the template. You can also use the colored letters. You can import the words into Microsoft Word once you have completed the stages above. Create the word as per the instructions above and then download as an image file. Open a Word document and click on “insert” -> “picture” and select the file that you downloaded previously. Click on the image icon to add a background. Do you need any letters or symbols that do not appear here? At this stage, we only have uppercase (capital) letters available. If you need lowercase letters, numbers or symbols such as a question mark, “&” or others then please leave a comment below. We will try to add those options for you and free of charge. Most of the fonts are black and white but we also have colored letters. You can also print the stencil and then color it yourself.